I wish along with Patriotism on I-day,came some honesty! Sometimes its traffic : If excess money demanded by them is agreed upon,wont there be traffic? Sometimes its timing: Early in the morning,they don't want to take passengers. Sometimes its the destination: The reasons justified by them is that we wont get a passenger back,either pay the amount they say which is sometimes almost the double by metre fare or keep on searching for another autos. Sometimes its from where you get the auto that matters: An auto in front of a mall will charge you whatever they like. Incident: I don't remember the last time I took an auto which goes by meter. Be it the Bangalore railway station or an auto in front of the mall,we all know we are paying a little extra,or may be even double the fare sometimes.The last was when I hired an auto from Forum value mall,Whitefield and the gang of autos refused to take less than Rs 100 whereas the original fare by meter would come around Rs 37.A mere 1-2 kms they would charge 30-40 Rs. 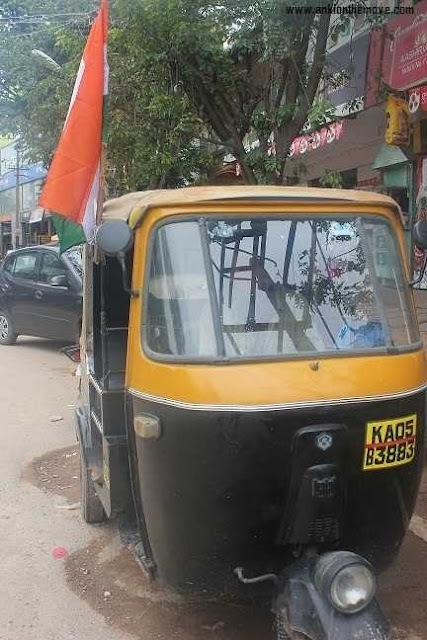 While we can always complain about Auto Wallah who do not listen,we can always highlight an auto wallah who listens either on FB or Twitter.This move can encourage the auto wallah to be true to us,and hopefully next time,we see more auto wallas who take us by meter. Hiring an auto in the tech city is totally maddening.Do you know we already pay more meter wise than other cities? 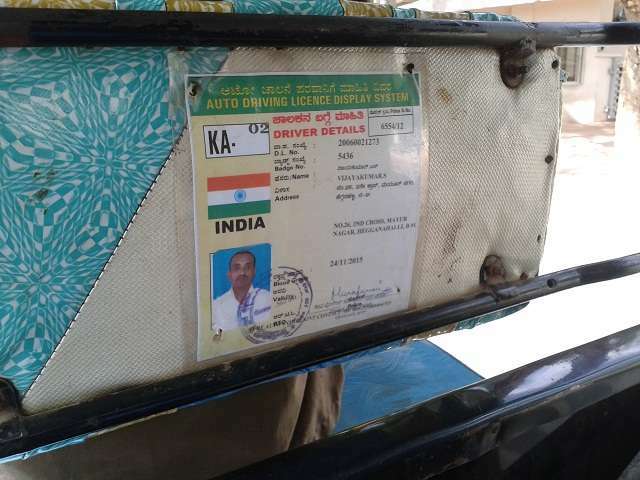 So why are the RTO officers and officials not monitoring this,why cant they check up and see arbitrarily,why the callous attitude of the number of vehicles in Bangalore City is Rising??? Simple.Remember the last time you complained?Yes,we all give in to auto wallas demands and that's the reason they charge more.But its not possible to check and scan each and every auto in the city,unless you move forward and take this small simple step of complaining.Lets say tomorrow a few autos are scanned,how can you be sure that every area every auto takes you by metre. We all by now know the auto walas are fearless. In a people-friendly initiative,traffic police have opened a 24-hour interactive voice response system (IVRS) and text message-based complaint-lodging system.Commuters can use these services to lodge complaints against auto rickshaw drivers who refuse to ply to a destination and/or for overcharging.Additional commissioner of police (traffic) Praveen Sood said SMSs sent by people will go to the traffic management system based on which action will be taken on the drivers. You can also take a snap of the auto and upload it. The app puts it in an email format and sends it across to the police or Regional Transport Office (RTO). "The app is capable of identifying the nature of the issue and it forwards the mail accordingly,"